Toastabags Reusable 2 Pk Only $4.99! You are here: Home / Great Deals / Amazon Deals / Toastabags Reusable 2 Pk Only $4.99! This might be the best invention ever! It’s surprising to me how long it takes to make a grilled cheese! You dirty a pan and there is butter every where. In the middle of summer you heat up the kitchen! These bags will remedy all that! 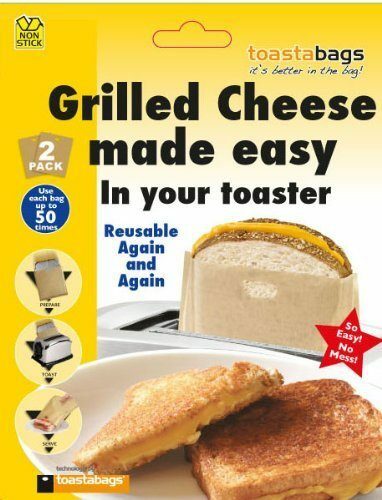 Slide your sandwich in and slip it into the toaster to get a nicely browned grilled cheese without all the mess. And they are reusable up to 50 times! Get the Toastabags Reusable 2 Pk for Only $4.99!